Vienna, April 29th. The 2nd Annual Gamification in HR Summit was held on 27-29 April 2015, at Palais Hansen Kempinski Vienna. The event was organized by the HR industry and for the HR industry, based on the expertise of Expert Advisory Board and Speaker Faculty Members. During this event, gamification gurus, thought-leaders and senior-level HR practitioners with the gamification mindset presented the most recent developments in the applied use of game design techniques and game mechanics throughout the entire employee life-cycle. The topics as how to challenge the HR status quo and rethink gamification’s impact on talent attraction, smart employer branding, on-boarding, learning and development, employee engagement were discussed. All the representatives from Business or Expert Advisory Board had a chance to meet Virtonomics team and to learn more about the uniqueness of the platform. The virtual economy was presented to the audience as the main distinguishing feature. The exclusivity of economy that it’s not being simulated automatically, but rather formulated by the person and the affection of all taken decisions. In this way, the humanly variable appears in virtual economy by Virtonomics. It is important to mention that person can moderate some of the situations in order to see how it affects the habitants of virtual economy. The share size of simulation impressed many participants of the Summit as well. Participants agreed, that fully scalable solution that can be additionally customized looks highly attractive. 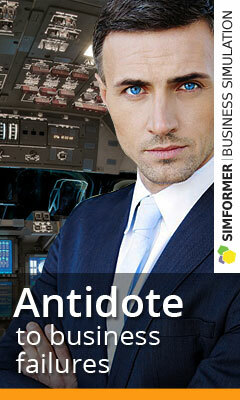 Virtonomics is a strategic online business game that gathers over 1 million players from all over the world. The game unifies multilayered business and company management simulation (17 interconnected business processes, 141 type of subsidiaries), multidimensional global business simulation (25 industries, 203 products to produce, 33 countries, 300 cities), and virtual economy. 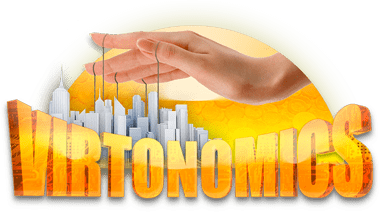 Virtonomics is unparalleled online environment for individuals to develop business orientated hard and soft skills, communicate, make connections, and have fun.